Escaping Unconscious Bias : when there was unconscious bias in an unsconscious bias talk. 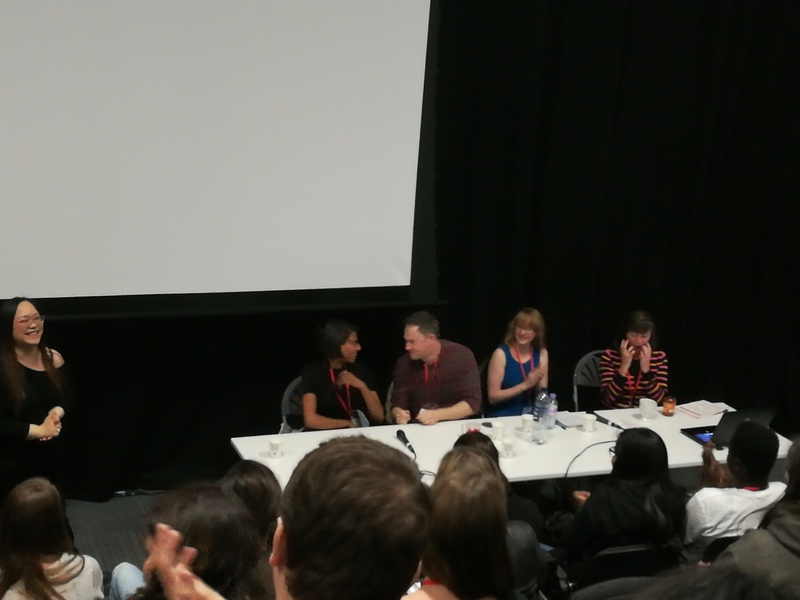 I attended my first games conference aimed at women. You could tell this was the case by the title: “Women in Games”. Kind of gives it away, doesn’t it? And it also makes anyone not associating with being a woman shy away. Why should they attend a conference for women? That’s a very good question indeed. Don’t get me wrong, the idea behind the event is great. I’ve been to a few diferent academic conferences (evolutionary computing or games themed) now and in all of them there’s one aspect that’s pretty clear: the world is male dominated. 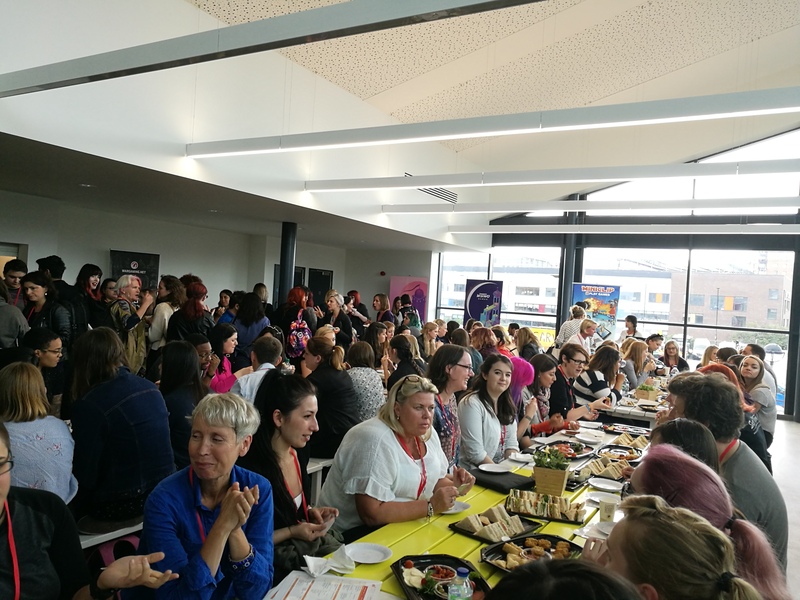 So it’d obviously be nice to see a few more women around to even out the presence of both genders (even though this would mean saying goodbye to the queue-free toilets, a great perk ladies benefit from at these conferences!). But my question is this: why not promote games conferences more to blonde people, as there’s too many black-haired? Or to Italians? Or to cat-owners? Or to left-handed people? Or to those who like pineapple on pizza (seriously, this is a crime)? It seems a bit silly if I put it this way, doesn’t it? My point is this: how come the gender of a person is taken into account when considering if they’re good at something? 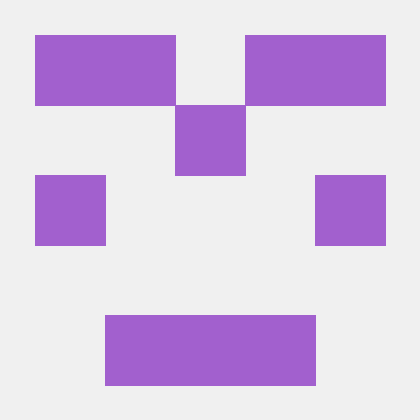 Does the fact that they like cats affect whether they can program? No. I’m sure someone could come up with a great study that says cat-owners are more likely to be good at programmers because 80% of subjects identified with both criteria. But is there really a correlation there? Sure, maybe my “woman-brain” works differently to a “man-brain”. I look at an algorithm and cringe if it’s not indented and structured in a pretty way. I look at creative solutions to problems of twirls and bows, when a straight line drawn through the right path would’ve done the trick. But is that because I’m a woman? It’s because that’s me. That’s me as an individual. The lady sitting next to me could have a completely different view to the same problem. And the man sitting at the desk across from me and poking his legs under my desk (so not cool) might agree with my twirls and bows. The way one person thinks, what they’re good at, that’s 100% because they’re them. One individual. The gender, likes and dislikes, sexual orientation, race, the way they tie their shoelaces, all together they define this individual. And maybe they have some part to play in how he thinks. But taking one of them and singling it out as THE cause for this person being themselves is wrong. Equality is not obtained by highlighting one small aspect of who an individual is. Equality is obtained by treating people as individuals and highlighting ALL of who they are. Now this ramble does actually come back to this conference and why the idea was executed poorly. They did highlight it as a conference for women. As a result, the attendees were 95% women, with some men lost in the mix. Besides the annoying bathroom queues, I consider that as missing the point. Equality is what should be aimed for, not swapping the genders while keeping the same ratio. So that’s one black ball. The next one comes from adding talks on feminism. Making it seem like women get together and talk about being women more than science. A big slumber party that men would obviously feel bad for intruding on. And a final black ball comes from a keynote which started well. Talking about unconscious bias. Doing a little exercise with the audience, turning them into mumbling robots, to prove this point. I recorded a little bit of this because I found it absolutely hilarious, the monotonous choir that would reply to the speaker’s cues. The part where this talk went wrong was when the speaker introduced unconscious bias in his unconscious bias presentation (you’d think he’d actually be more aware of what he’s saying, given his talk topic). That’s when he suggested there’d be more gender balance in tech companies if they introduced relaxing rooms for women too, not just for men. That companies should not just have rooms with video games and pizza, but also rooms with puzzles, flowers and tea, which would be more enjoyable for women. To this I say, I hope the next delivery woman throws pineapple on your pizza and that the pizza sauce will smear all over your keyboard. Do I like flowers? I love them. Would I stuff my face with pizza while repeatedly smashing my car into a wall in a rancing game (oh you wouldn’t imagine how bad I am at those)? Yes I would. 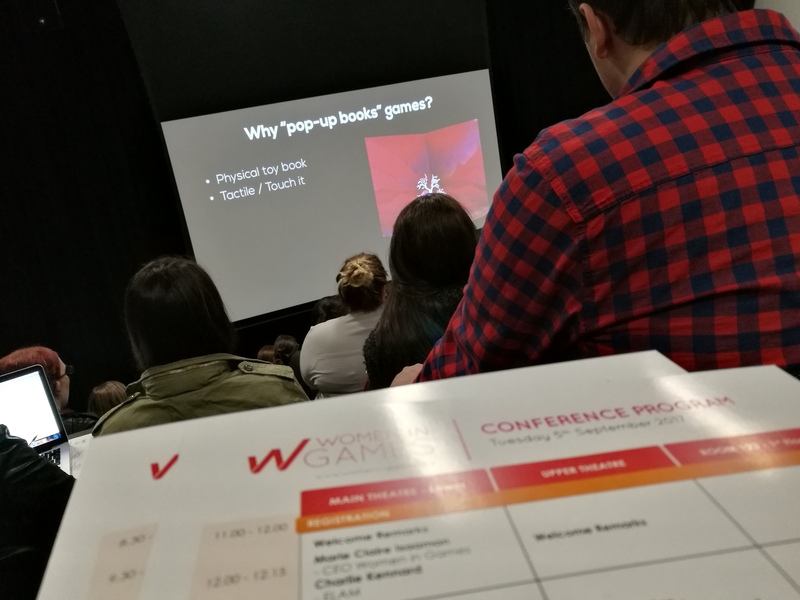 And if you’re going to give a talk at a conference entitled WOMEN IN GAMES, then you’d better remove slides saying women don’t like games off your presentation. … That I should not attend women in games conferences. And that the current approach to equality is not aligned with my definition and views on the matter. Here’s to ladies who love games. And to the people who tie their shoelaces with their left hand only and still love games just as much. Simply, to people who love games. And animals too, my kitten will be a renowned hacker one day.